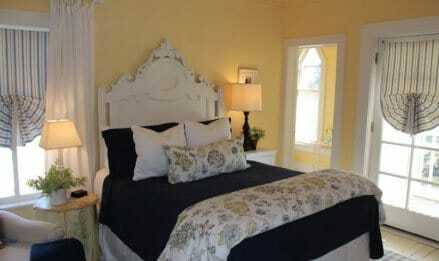 The Hope and Glory Inn is one of this country’s most highly acclaimed and extraordinary inns. Once an elite boarding school in 1890, Hope and Glory Inn has since graduated into a stylish hotel in Irvington within Virginia’s Northern Neck peninsula. 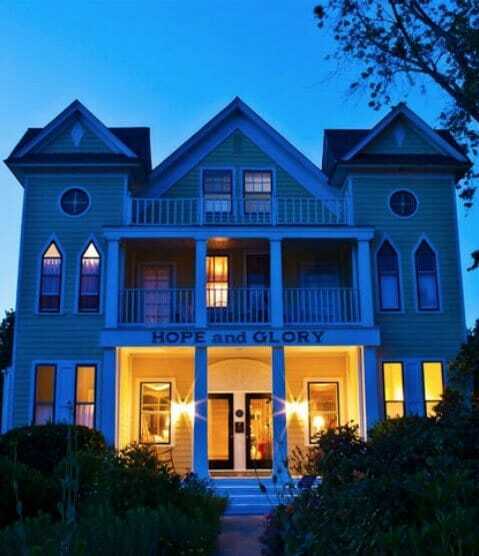 The Hope and Glory Inn is different from other Irvington bed and breakfasts with its captivating Chesapeake Bay scenery, pleasing amenities and services, and our dog-friendly vineyard, Dog & Oyster Vineyard, just 3/10 of a mile bike ride from the hotel. 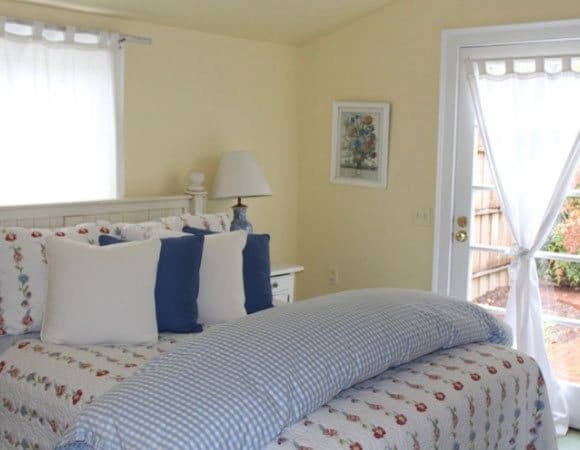 With six guest rooms and six quaint garden cottages, you’re sure to find the perfect accommodations at our winery resort in Virginia. Additional accommodations include a Carpenter Gothic vineyard cottage that’s just a convenient bike ride away in our Dog & Oyster Vineyard. We also offer a selection of dog-friendly cottages. Each morning, you’ll also be treated to a complimentary breakfast. Virginia’s scenic Northern Neck is the ideal location to get married. 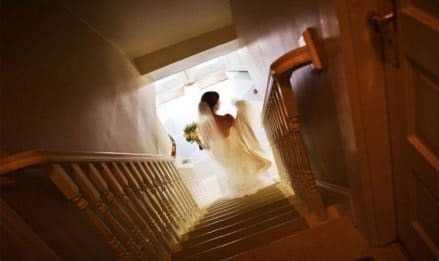 Our hotel’s romantic venues make it one of the best locations for both small and large weddings on the Chesapeake Bay. 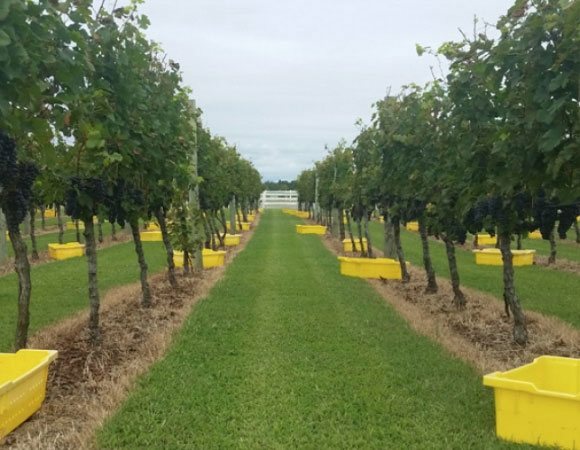 The Dog & Oyster Vineyard offers lush vineyard scenery and is our largest venue that can host an unlimited number of guests. For more intimate ceremonies, our quaint gardens, the front steps of the inn, and our boat, True Love, are all available for your wedding. 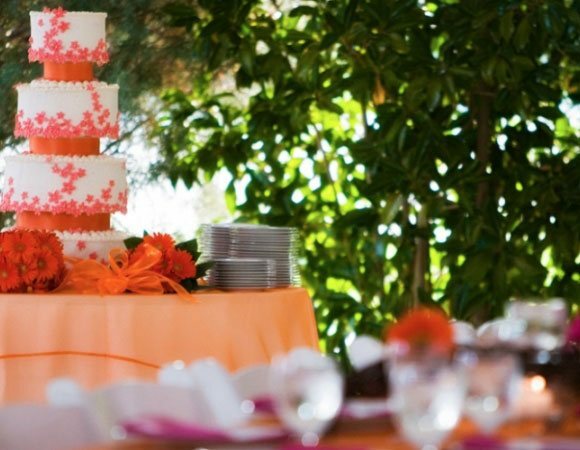 Our chef will surprise you with exquisite plated meals or food stations for your wedding dinner. Taste our nationally acclaimed wine at our dog-friendly Dog & Oyster Vineyard just a mile down the road from the inn. Our guests spend their days seeking enchanting experiences found nowhere else but at our wine country hotel and the surrounding charming town of Irvington, Virginia. Irvington is a small town on the Chesapeake Bay filled with fabulous farmers markets, boutiques, and restaurants. An outdoor garden bath and our inn’s spa beckons for couples to unwind on their romantic getaway. Spend a day cruising on our boat, True Love. Our Virginia winery resort offers countless amenities and attractions for everyone to enjoy. Experience even more of the Northern Neck and plan the best weekend getaway in Virginia when you download our free vacation guide. Whether it be your birthday, anniversary or simply being romantic, we have a special occasions package for you. Two nights lodging at our Irvington, VA hotel in one of our luxurious vineyard tents for a maximum of six guests; six wine tastings; and, six places on our Cocktail Cruise. Looking for romantic things to do at Chesapeake Bay? Check out our elopement package for an intimate ceremony.